Once the car becomes unusable or is difficult to get repaired anymore due to unavailability of spare parts, many people face the problem of disposing it off properly. Keeping the vehicle in the backyard for years to rust and occupy space is a big no-no! Besides, you need to pay the car insurance yearly even if it is out of service, which is an added burden to your budget. 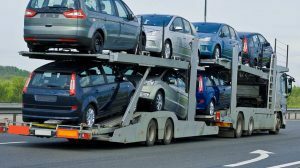 Getting in touch with a Cash for Car Company Adelaide or a car removal service provider is the best solution to get rid of that old or damaged car. The cash for car company such as Adelaide Car Removal will visit your location to assess the condition of your car and make payment immediately if you agree to the price quote offered. Your car will be then towed at OUR expense. Still not sure if you should get rid of your old clunker? Let’s get you through some of the benefits of accessing the services of a reputable car removal service in Adelaide. You need to adhere to so many formalities and paperwork when trying to sell your car that has undergone so many repairs. But this is not the case with Adelaide Car Removal that follows environment friendly disposal methods. All you need to do is fill out the easy form online on the website and wait for the representative to contact you after the appraisers determine the value of the car. When you try to sell an old and damaged car, many cash for car companies offer prices that are too low even if there are a lot of parts worth reusing and recycling. But Adelaide Car Removal offers top dollar for your car because they do not look at the car as a whole, instead, they assess each car part and its resale value and then offer a price quote. This benefit should not be overlooked as this is really significant for the environment. Taking your car to dump site for disposal will only add to the carbon footprint as they will crush it and then toss it out to the rest of junk mountains of trash. Chemicals, fluids and gases released from these create adverse impact on the surroundings. Adelaide Car Removal follows eco-friendly recycling standards to get the highest possible offer for your damaged car. Call us now at 0477 413 136 to get rid of the useless car in your backyard and earn some cash with it.